In Turbulence, the impossible becomes possible. 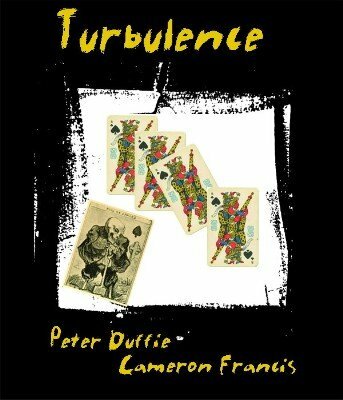 Turbulence is a multi-phase card routine that is both mind-bending and entertaining. Turbulence kicks off with a sizzling and super clean "Collectors" phase where four Kings instantly collect three previously signed cards. Then, in the blink of an eye, the three cards instantly vanish. The three cards are then reproduced as they are summoned from the deck one by one. Finally, the Kings are placed in your pocket and an impossible transposition occurs — the Kings are suddenly found on the table while the three signed cards are cleanly removed from your pocket! No palming! Use any deck and simply add some standard gaffs that 95% of you will already have. Not only that; the trick is easy to do and resets instantly!